Here in Israel you can feel the seasons changing and the focus is directed towards Rosh Hashana, the Jewish New Year when we read the story of the Sacrifice of Isaac. God commands Abraham to take his son, his only son, the one he loves and sacrifice him as a test of Abraham’s faith. At the last moment an angel stops Abraham, who looks up and sees a ram caught in a thicket by its horns and sacrifices it instead. Road work continues in Israel to widen the highway just outside Jerusalem on the way to Tel Aviv. Whenever there is new construction archaeologists have to do a salvage dig. The excavations at Tel Moza uncover stone figurines in the shape of animals estimated to be 9500 years old (pre-Pottery Neolithic period). According to Anna Eirikh and Dr. Hamoudi Khalaily, directors of the excavation at the site on behalf of the Israel Antiquities Authority, “The figurines, which are 9,000-9,500 years old, were found near a large round building whose foundations were built of fieldstones and upper parts of the walls were apparently made of mud brick. 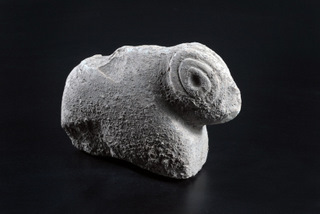 The first figurine, in the shape of a ram with twisted horns, was fashioned from limestone and is c. 15 cm in size. The sculpting is extraordinary and precisely depicts details of the animal’s image; the head and the horns protrude in front of the body and their proportions are extremely accurate. The body was made smooth and the legs of the figurine were incised in order to distinguish them from the rest of the body. The second figurine, which was fashioned on hard smoothed dolomite, is an abstract design; yet it too seems to depict a large animal with prominent horns that separate the elongated body from the head. The horns emerge from the middle of the head sideward and resemble those of a wild bovine or buffalo”. The Pre-Pottery Neolithic B period (the eighth millennium BCE) is considered one of the most fascinating chapters in the history of humankind. There were many changes that shaped human society for thousands of years – the transition began from nomadism, based on hunting and gathering, to a life based on permanent settlement, farming, domestication of animals, even preliminary architectural planning. These figurines are a connection to our past as we work to create a better future. May this new year be a year of blessing and peace for all the people in this region. 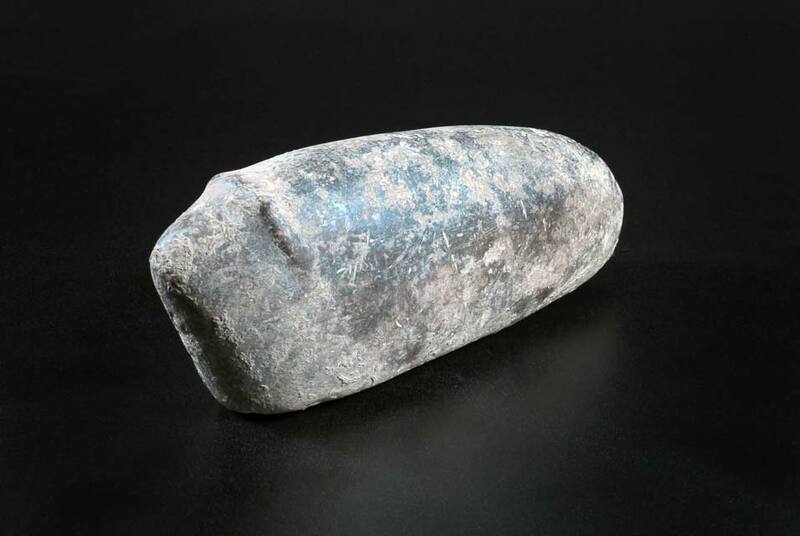 This entry was posted in Archaeology and tagged archaeology, Domestication, Israel Antiquities Authority, Neolithic, Pre-Pottery Neolithic B, Stone Age, Tel Moza on September 13, 2012 by Shmuel Browns.